Because we strive to build long-term relationships, we invest the time to develop a deep understanding of each client's business, sector and strategy. 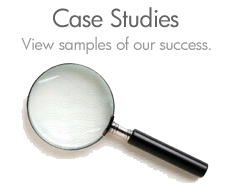 At the same time, we develop an appreciation of each client's culture, and management's goals and philosophies. The resulting partnership allows us to recommend and implement strategies to maximize the overall effectiveness of each IR program.